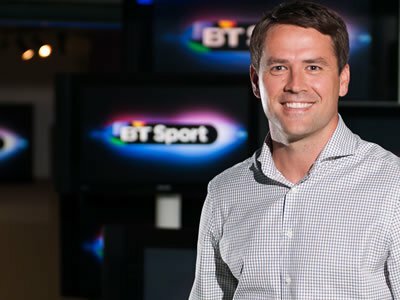 Michael Owen has admitted that he is unconvinced that Unai Emery has assembled an Arsenal squad capable of challenging for a top-four finish. The Gunners parted company with Arsene Wenger at the end of the 2017-18 season following their disappointing sixth-placed finish under Arsene Wenger. Unai Emery replaced the Frenchman following his 22 seasons in charge of the north London side to usher in a new era at the Emirates Stadium. Arsenal started their summer spending with the addition of veteran Juventus and Switzerland defender Stephan Lichtsteiner to improve their full-back depth. The Gunners signed Germany international Bernd Leno in a £20m deal from Bayer Leverkusen to provide Petr Cech and David Ospina with competition for a spot in goal. Borussia Dortmund centre-half Sokratis Papastaphopoulos was recruited to add more steel to the Gunners defence, while Lucas Torreira swapped Sampdoria for Arsenal in a £26m deal. Matteo Guendouzi was signed from Lorient to prove that Emery does have one eye on the north London side’s future despite his litany of ready-made signings this summer. However, former Liverpool FC and Manchester United striker Owen doesn’t believe Arsenal are strong enough to launch a top-four challenge this season. “Arsenal start life without Arsene Wenger and I feel Unai Emery will also need time as he tries to get the Gunners back into the Champions League,” Owen told BetVictor . Arsenal haven’t won the Premier League title since 2004.